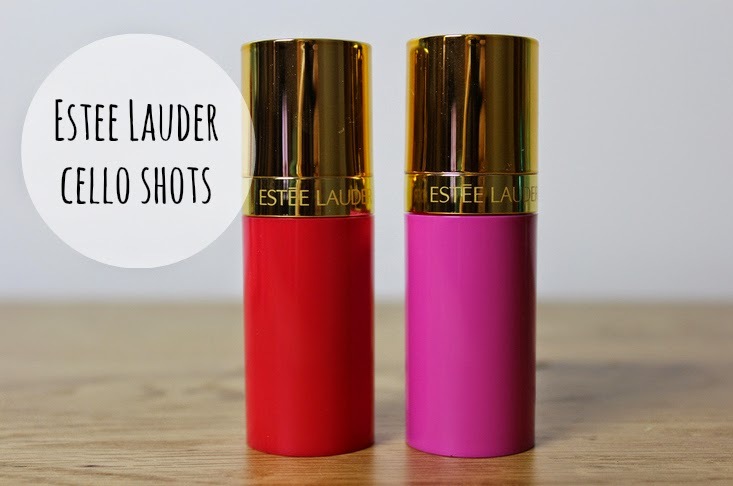 Something a little different has popped up at Estee Lauder counters recently – and if you love a light flush of liquid blusher – then these new Cello Shots will need to make their way into your make-up bag pronto as they’re pretty special. These two shades are ’01 Hot Fuse’ (the redder shade) and ’02 Pink Patent’ (the blue toned pink shade) and both create a sheer flush of colour that looks so pretty and natural. These are the ultimate Summer blush product in that they are light, natural (look just as nice on bare skin as they do on a base) and are water resistant. These two shades couldn’t be much more different – Hot Fuse is quite pigmented and creates more of a stain than the pink which is more of a wash. It also had more of a shimmer to it, which creates a fresh glow. Pink Patent on the other hand is such an easy to wear colour – one small pump and a quick dab on the cheeks and you’re good to go. I love this shade on my paler skin personally as find blue toned pinks are flattering. This was one of only two blush/cheek shades I took with me on my recent holiday – knowing how much I like blushers, that’s kinda a big deal. Oh, and at one point I actually used Pink Patent on the lips too – it’s quite a watery feeling product when you apply (it feels like a gel, but when on the lips suddenly feels more fluid) but I realised I didn’t have any lip products in my bag (SHOCK) so reached for this to perk up cheeks and lips at the same time. I loved the subtle flush of complimentary colour it gave. I do love the shade of Hot Fuse, but it’s just slightly less easy to use – in the sense that as it’s a stronger colour it does stain more than Pink Patent, if you get it wrong then there’s not a huge amount you can do to change it. Not necessarily a negative, but just a little heads up – in that sense it reminds me a little of Benetint – a pretty shade, but does leave a definite stain so you have to be confident and work really quickly to get a natural look. For a fresh looking and feeling Summer glow – these are an absolute winner for me. More shades in the range please Estee Lauder! I gave these a test in House of Fraser yesterday and they’re such a weird texture! These look so lovely. I definitely need to give them a try. I’m in love with the pink color! Bright pinks when sheer can leave such a pretty flush which is what I love from a blush. I tried the pink one and wasn’t sure about it thought there wasn’t much colour payoff.